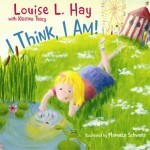 » “I Think, I Am” – Affirm That! “I Think, I Am” – Affirm That! Students enjoy learning a new BIG word that they can take home to impress their parents with. You’ll find some of them even showing off by teaching their own parents what positive affirmations are and how they might use them in their own lives (this I have seen and experienced first hand!). Students love the challenge of this activity because it relates to their own personal day to day experiences and they can apply their learning in each subsequent day. You’ll have fun as a class as students point out daily scenarios in which a negative affirmation has surfaced, to which they get to figure out a positive affirmation for – it becomes somewhat of a fun game for kids while the benefits multiply! What happens in our lives is a result of what we think and say. By using this lesson, you will help your students to become increasingly aware of their thoughts and words from a young age. Every thought you think and word you say is an affirmation. Our belief systems are developed from early on and constitute what experiences we have throughout our lives. We are continuously confirming our subconscious beliefs through these thoughts and words and these shape the experiences we have. If there are belief systems that are no longer serving us in a positive manner, we can replace them with repetitive use of positive affirmations. As students begin to apply their knowledge of affirmations to their lives, it will become a daily and natural occurrence. What an amazing gift for students to have from such a young age! This training in thought and action will surely be reflected through positive life experiences. TRY IT! – Then tell us if you wish your teacher had taught it! 2. 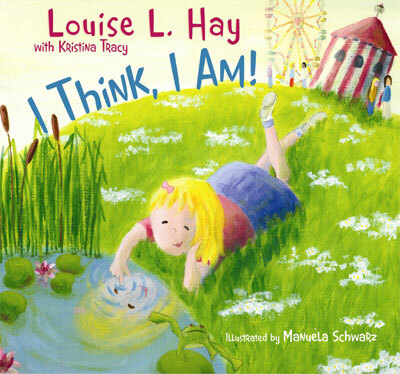 Share a dialogue about the book and discuss the term “Affirmations.” Be sure that students understand that affirmations refer to all thoughts and words. The focus will be to turn all thoughts and words into the positive. Af-fir-ma-tion: Words that you think or say, and believe to be true. 4. On chart paper, have the class brainstorm a list of personal negative thoughts or experiences that come to mind. 5. Model one personal example to show how to turn a negative thought into a positive affirmation. Together, think about all the possible ways this positive affirmation may result in an optimistic experience. 6. Have students get into partners and choose one of the negative thoughts from the list on the chart paper. They may want to select one that is personally relevant to their life. 7. Partners will work on the “Turn Your – into a +” assignment. Please find a Blackline Master for this assignment in the SEE IT section. 8. In this assignment, students will write down and illustrate a negative thought in the 1st circle. 9. Next, they will write and draw a positive affirmation for their negative statement in the 2nd circle. 10. Finally, students create a positive outcome and picture for their affirmation in the 3rd circle. 11. Have the students share their assignments with the rest of the class so that all students may benefit from knowing how to turn each negative thought into a positive affirmation. 12. An extension to this activity would be to swap negative thoughts and see what alternative positive affirmations and outcomes different students would come up with. The possibilities are endless! 13. Create a display in the hall or classroom of your Affirmations Definition Poster, the cover of the book and the assignments. I guarantee you, other students and teachers will have their interests piqued and you will be helping so many more individuals learn this important life lesson. [box type=”note” style=”rounded”]Affirmation lessons are suitable for any age! This lesson has benefits throughout the year but is a great ice-breaker for the beginning of the year when you are establishing a positive classroom climate. You can download the [ilink url=”http://www.newageteacher.com/lessonplans/NewAgeTeacher-AffirmThat.doc” style=”download”]Affirm That Lesson Plan[/ilink] here! Visit www.hayhouse.com for more information. You can download the [ilink url=”http://www.newageteacher.com/lessonplans/AffirmationsBlacklineMaster.doc” style=”download”]Affirmations Blackline Master[/ilink] here! It is very clear how much you care about your students! I imagine they are very lucky to have you as their teacher. I have a feeling we’d make good friends! I am lucky to have THEM as my students 🙂 What a sincere comment. Thanks for your warm response! Going for my Masters’s in Teaching, cant wait to present this to my fellow students and oneday.. my own classroom.